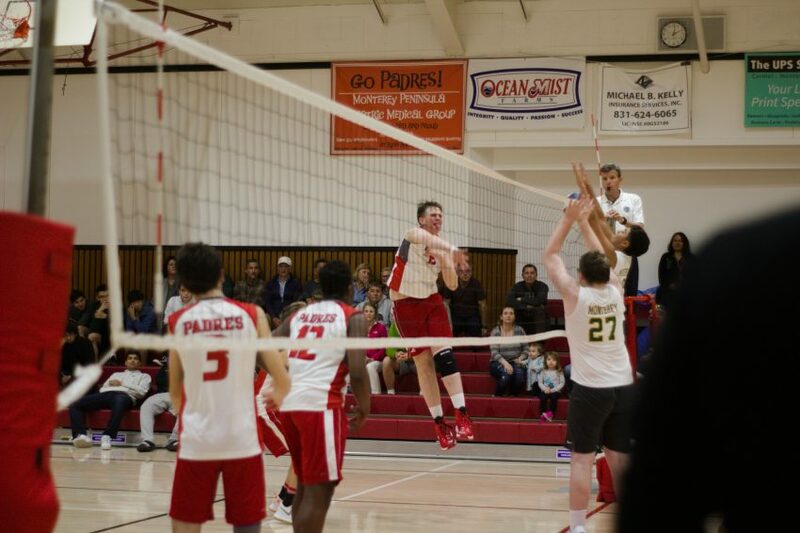 Carmel High won the first four league games of the season and was leading the boys’volleyball rankings for the league, a spot they have occupied for the last 41 games, until they were put up against the quickly approaching second place team, Christopher on March 19. This was the first league loss in three years, a disheartening feat for the team who branded itself on being undefeated, commonly sporting its weighted CCS volleyball rings from last year. Even so, after winning an away game against Hollister on March 26, the boys regained their confidence in maintaining their winning streak, leading the Pacific Coast Gabilan division with a record of 6-1 despite their loss with Christopher. Heading into the 3rd Annual Padre Classic, the players have been consistently practicing to strengthen their unity as a team and fix any communication problems. A lot of the improvement post-loss has been due to Izzy, who has been individually helping the boys during scheduled weekend practices and working to bring out the voice in the more introverted members. He’s focused on helping improve the mental game of the team over anything else, building confidence within the players. Senior Ben Airola is leading the team and county this year with 179 kills and skyrocketing amounts of high-energy gameplay. Both on and off the court, he continues to make noise and hype up his teammates in mid-game huddles, counting on the more quieter of the team to get motivated. At the beginning of the season, there were 13 players on the team, six of whom were returnees and four seniors among them. Two players have left the team so far, who had gotten an ankle injury shortly after the first game. Since they have made it to the 3rd Annual Padre Classic, the Padres are prepared to work towards strengthening their mental game to match their physical abilities for an upcoming game against Salinas on April 9. With enough practice and dedication, Coach Izzy expects his team to win its league title once again, continuing a four-year streak of success.